Interested in working for Walt Disney Company? The international entertainment company based in California offers jobs ranging from theme park attendants to television animators to corporate positions. Get tips on how to find and apply for positions at Disney and learn about the company benefits and more. The Disney Careers website offers information to prospective job candidates, such as benefits, career programs for students, and other general information. Job seekers can search for jobs by keyword and can filter by job category, type, location, industry, and business. They can also search for a specific job by requisition ID number. And, if you find a job you think someone else would like, you can forward it to that person. An excellent feature for applicants is the ability to find jobs based on their LinkedIn profile. By allowing Disney access to any relevant information, their LinkedIn profile contains, they can be matched with potentially dozens of posts. To apply for a job online, you must first create a profile. You can do so by manually inputting your information, or by allowing Disney to connect to your LinkedIn profile. Job seekers can also navigate to one of over 30 different companies owned by the Walt Disney Company. The more well-known entities are Disney Studios, Parks, Consumer Products, Interactive, Corporate, ABC, ESPN, and Marvel. Each business has its own careers website for job seekers to use to find open positions. Disney divides its job openings into a variety of career areas, including corporate, technology, entertainment, sales, and much more. Each career area is further broken down into particular roles. Job seekers can look through the various career areas to find the right position for them. Disney Parks Talent Casting hires performers for their numerous theme parks and resorts worldwide. From look-a-like performers to professional vocalists, there are many available jobs in the performance arts. Disney offers several programs for college students and recent graduates. College students can participate in a Disney Professional Internship, which allows students to experience a particular career field within the company. Internships can be year-round, full-time summer positions, or semester-long programs. For recent college graduates, Disney offers Co-op and Post Graduate Programs. In these programs, participants have a six-month position in one of a variety of business areas, including IT, Management, Creative, and more. Students who have graduated high school within 48 months of applying are eligible to become an intern under the Disney Career Start Program. College Students currently enrolled and who have obtained the age of 18 years are eligible for entry in the Disney College Program. 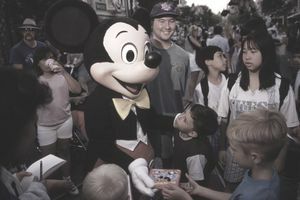 Both programs serve the Walt Disney World Resort in Lake Buena Vista, Florida, and Disneyland in Anaheim, California. As an intern at one of the Disney theme parks, students are engaged in a five-to-eight month long internship program that will help interns build transferable skills and leadership qualities sought in nearly every industry. While it might be a semester away from campus, Disney College Program interns do more than earn their keep around the parks. They earn quality skills and experiences that help them shine with prospective employers down the road. Interns participate in a paid internship, with roles available in park operations, entertainment, merchandising, food and beverage, hospitality, custodial and lifeguarding (seasonal only). These roles will be selected by Disney recruiters if you are chosen to join the program. In addition to working with some of the best management leaders in the industry, interns also have the opportunity to learn from their successes in a number of courses available from Disney University. These courses can be taken for college credit with approval from your school and maybe mandatory, dependent on your program. Mentorships and networking events may also be available to help interns learn more from company leaders. Disney company benefits include health, dental, life insurance, vacations, a 401(k) savings plan with a matching program, adoption assistance, and more. Employees also receive Disney extras, including theme park admissions and discounts on Disney merchandise. Disney is also very supportive of their veteran employees. Through the company’s Veterans’ Initiative, “Heroes Work Here,” the goal is to increase opportunities for and support of veteran employees. What Kind of Jobs Are Offered at Cool Works.com?